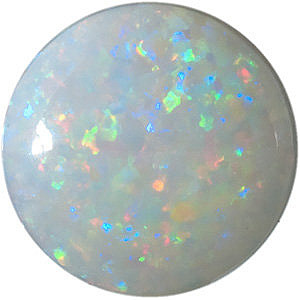 Description This Natural, Solid White Fire Opal in Round Cabochon Shape, cut to a High Standard, Grade AAA, displays a clean white background with good to medium fire and a color range that can include greens, blues and reds. 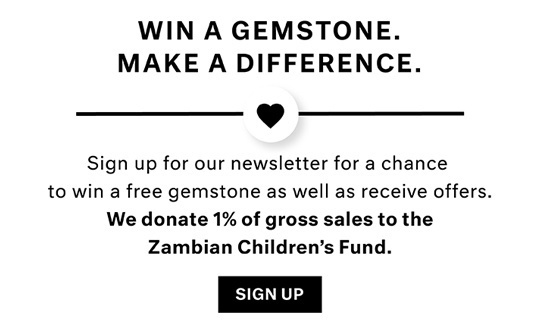 AfricaGems guarantees all opals to be free of cracks and inclusions. NOTE: Be sure to select the RIGHT gemstone/diamond by millimeter size only. Selecting your gemstone/diamond by carat weight is NOT ACCURATE. The best way to select the right size gemstone/diamond is to use our size chart image or consult with a local jeweler to measure your setting or gemstone.